What Does Great Content Marketing Look Like? 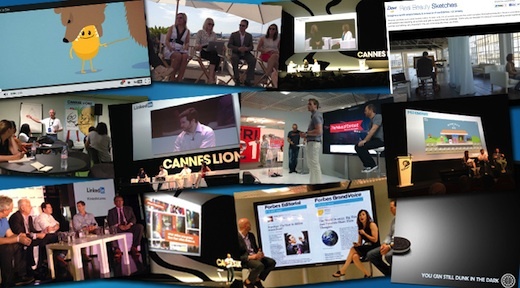 Content marketing was one of the hottest topics at Cannes this year. It dominated discussion on festival stages, in restaurants and at after-hours parties. But what did marketing’s creative minds believe great content looks like? If you have something to say, it needs to ring true. Jeff Weiner, LinkedIn’s CEO, said as much on a panel at Cannes: “Audiences can filter out the authentic from the inauthentic, and that means marketers need to be able to do so as well.” Consumers have an authenticity meter that is very finely tuned. Related to being authentic is showing how what you do connects to the world at large. I like the comment from Coke’s Jonathan Mildenhall: “We believe each of our brands must continually strive to make the world a better place.” Coke’s film, Security Cams, embodies that belief. Coke’s authenticity can be seen in its commitment to a consistent story in the form of Content 2020. Other examples? Dove’s amazingly authentic Real Beauty message. Citi was able to launch its hugely successful LinkedIn Managed Group quickly and effectively thanks to its long-term commitment to engaging professional women. My personal favorite example of authentic? IBM had a challenge to show what they did for the world. Instead of telling you, they looked inside IBM for amazing science. The marketing team commissioned an effort with a group of scientists to create The World’s Smallest Movie where every scene is made of individual atoms. The results were truly amazing. This video now has more than 4.3 million views. Relevant content can incorporate the imaginative use of data, as in Honda’s real-time map to guide emergency services and the Japanese public in the wake of the 2011 earthquake. Another example: Annie Liebowitz’s photography or sharing interesting items that resonate with both a brand and its audience. There’s a rule in startups: “Don’t let perfect be the enemy of the good.” Coke’s global content director, David Campbell, discussed the strategy for Oreo’s game-changing Super Bowl tweet: “Speed trumps perfection.” He argued that brands have to be prepared to sacrifice the security that comes with multiple sign-offs to get content out there in time to make an impact. Super Bowl Twitter stories are becoming legend, and some get more and more interesting. Adam Kerj, one of the team behind the Oreo tweet, shared the back-story that explained years of work process and client-agency trust enabled such a rapid response when the lights went out. Great content marketers recognize the value of being fast and agile. They also accept the risk of making mistakes. Creative minds at Cannes embrace like never before the principle that their work isn’t finished just because they’re finished working on it. Being prepared to “put things out there, see if they take off, and be nimble enough to react,” as Citi’s Elyssa Gray put it, is critical to delivering on time and taking risks. If you can’t handle comments on your posts, don’t post. Many of LinkedIn’s most popular updates are from brands, and those updates often outperform those of professional publishers. One of the best examples of branded content? A transportation safety ad! Check out John Mescall’s video Dumb Ways to Die. John said at Cannes: “I never felt like we were creating advertising.” The viral response to the film proved him right. I loved the Wired panel at Cannes showcasing computer-generated content. This includes entire books written by computers and showcased on Amazon.com and news reports compiled by Narrative Science. Google showed a video that changes every time it plays. What you’re reading or seeing may not ever be repeated. Content marketing ruled Cannes this year. My bet is it’s here to stay. Thoughts? Comments? Let us know.